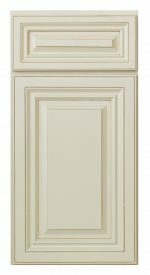 This painted creamy white finish is accented by a hand applied carmel glaze into the recesses of the door and drawer profile. 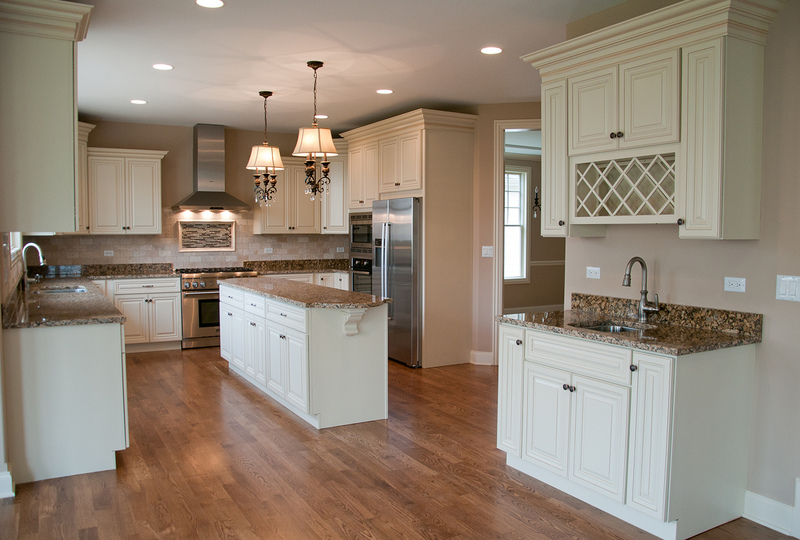 This glaze technique is specific to the recesses of the door and drawer profile and does not coat the overall door. 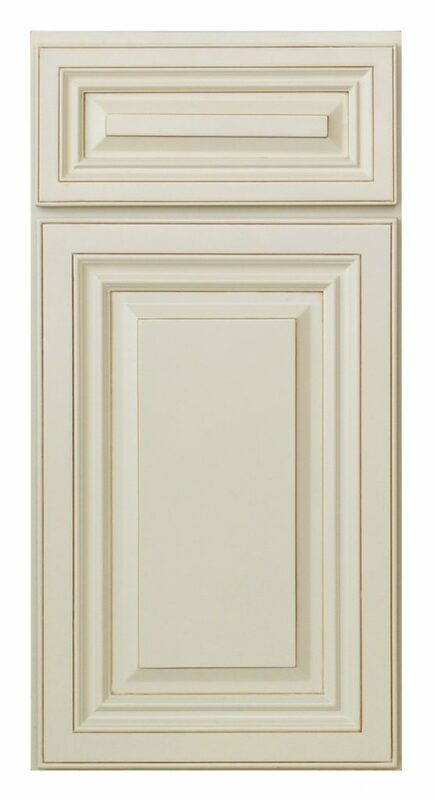 Renaissance is a full overlay style door and drawer with a matching maple veneer raised center panel on both. The solid hardwood maple frames are joined with mitered construction for quality and durability.